Revenues can rise or fall, profit margins can wobble, and corporate executives can change from day to day, but everyone knows that a dividend is untouchable. The dividend is an institution on Wall Street, with whole funds and investment portfolio built around these cash distributions, and the companies that pay them out. Dividends are more than just cash paid out to shareholders. They are also a way for companies to signal a message to shareholders. Remember, there are times when dividends matter and when they don’t, but you need to know how to interpret a change to the dividend policy. Dividend Cut – This is the surest sign a company needs money, and needs it quickly. This can be a dangerous sign, but it’s not always an indication of an immediate bankruptcy. Companies generally cut a dividend to raise cash when they’ve exhausted their ability to borrow, but don’t want to issue new shares. New debt may make a company lose its investment-grade credit rating, and new share issuance means that shareholders holding a potentially bargain bin stock get diluted at a low price. This is a difficult decision to make for managers, but be glad they’re not selling you short, or risking their credit rating. This should be a sign to read over the next annual report with twice the attention, however. To do: See what the company intends to do with the cash flow it frees up with a cheaper dividend policy. Will it pay down debt to reduce risk? Will it use the cash flows to finance a future bond issue? At any point a dividend is cut, there’s a reason beyond the fact a company simply needs money. It’s planning something big. Dividend Increase – This is a great sign that executives are being responsive to the desire of shareholders, but be sure to look behind the press release. Does the company have a history of increasing the dividend each year? If so, compare it to prior years. If it comes in low, it may just be a token increase for continuity. Has the company increased its dividend sporadically? If so, a big dividend increase may be an indication that management sees improving business going forward. Also, you may want to look at the historical dividend yield and payout ratio to ensure that the company can continue to pay the increased dividend. To do: see how the dividend policy increase will affect the company’s cash flows. While management is usually conservative with dividend policies, you’ll want to be sure the company can afford its dividends and interest payments on debt (if any) well into the future without any trouble. New Dividend – A new dividend from a company that has never before paid anything to shareholders can be a big sign. First, it shows that the company has no need to retain earnings for further investments. In a capital intensive business, this shows slowing earnings growth. In a business like technology, it’s less indicative of forward earnings. Secondly, a new dividend indicates that management is open to ways to boost shareholder value. A new dividend usually leads to dividend increases, special dividends, and share buybacks. Listen closely to the conference calls to get a feel for how management intends to decide on returning more or less money to shareholders in the future. To do: Look at the company’s current cash horde and how quickly a dividend will draw it down. Also compare the current dividend to the last few years of earnings per share. The dividend payout ratio will show you just how much room there is for the dividend to grow. Special Dividends – Special dividends are my favorite kind of dividends. They’re unanticipated, usually large one-time dividends for an irregular distribution. 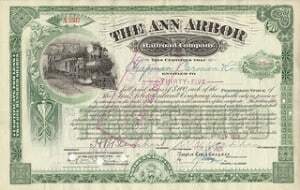 Special dividends are paid out when a company wants to remove a lot of cash from its balance sheet all at one time, return the proceeds from an asset or business sale to shareholders, to leverage up in a dividend recapitalization, or to make tax friendly moves before time expires (this was common in December 2012 ahead of the Fiscal Cliff debates.) A special dividend indicates that a company had an asset – cash or even a business – that it thought would be in better hands if given to shareholders. These can indicate that the current dividend is too low and thus cash built up too quickly, or that the company’s managers aren’t exactly too concerned with the pace or timing of distributions. To do: Look through the news. The special dividend is most telling after a big event – new management or board members, or a threatening activist investor. Typically a company’s distributions become much more regular through an ordinary dividend following a special dividend. Pay attention to more than just what the company wants you to know. Behind every dividend announcement is something bigger, better, and more important. Good breakdown JT! I think key to any of these happening is to make sure and dig a little deeper to see what exactly might be going on. You want to be able to make sure you should still be holding the stock and not regretting it a few months later. That pretty much sums it up. The only difference being how it affects the financials. Great write up! I personally look forward to #2 the dividend increase =) But you always need to look into every dividend announcement even the dividend increases, a company could be issuing a dividend that they need to borrow money in order to pay. This is never a good sign. So, “cutting the dividend to shake out the dividend investors”… that’s not a thing? Even if it isn’t I know you’re into vulture investing in stocks with recently cut dividends. Contrarianism! You need to be careful with dividend increases as not all of them are created equally. Observe the payout ratio, but more importantly you need to look for steady growth in revenue, earnings and cashflow to fund dividends. Gradual increases in the payout ratio can be carried on for quite some time before you notice impacts. Dividends drive by revenue growth and earnings growth are key things to observe before looking at the payout ratio. Yes, absolutely. That’s why it’s important to be sure that a dividend hike isn’t just a token policy meant to make shareholders happy with a company even though the business isn’t improving as quickly as the dividend. Great breakdown. My company just issued a dividend increase marked by the fact of years of steady growth. This is good news! I really haven’t been looking for companies that pay dividends mainly because we are not investing huge sums. I more look for the company to have stable growth so that i can see that my money is continuing to grow. I know there are some out there that have no idea why a company changes their dividends or what a change even means, this will help greatly.